So you have heard the buzz about e-cigarettes and are finally taking a more-serious approach towards making the switch from cigarettes over to e-cigarettes. The e-cigarette industry boasts top-notch devices coupled with expertly-crafted e-liquids which in turn can only further aid you into kicking the habit of the combustibles for something a little healthier for you. Before you jump straight in however, if it is vital that you thoroughly examine the financial ramifications of both smoking and vaping. Here's the quick and simple answer: Vaping can save you up to 92% if you are a pack-a-day smoker. Financially, smoking is not affordable no matter how well-off a person is. The national average for the cost of cigarettes is approximately $6. Let's do the math here: if one smokes at least a pack per day, the average weekly expenditure would be at least $42/week. 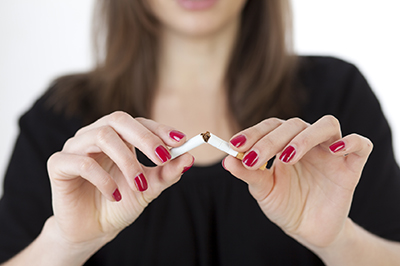 In a year, your habitual smoker would be shelling out an upwards of $2100+ dollars annually. Before you start feeling sick to your stomach that that's the cost of your habit, remember, these calculations are just for the cost of the product. Couple the cost of cigarettes with the cost of healthcare resulting from the impact of smoking can be staggering. According to the CDC, smoking-related illnesses in the United States costs more than $300 billion annually, including nearly $170 billion dollars for direct medical care for adults. On an economic standpoint, the amount of money in lost productivity stemming from adults undergoing preventative care averages roughly $156 billion dollars, of which includes at least $5.6 billion dollars in lost productivity due to secondhand smoke exposure. Depending on which state you live in, the average cost of healthcare for a smoker ranges anywhere from $2300-$4800 annually. How much e-liquid you consume. When it comes to e-liquid, the blends consist of four main ingredients: propylene glycol (PG), vegetable glycerine (VG), flavorings, and nicotine. When it comes to say,BLVK Unicorn e-liquids for instance, all of our ingredients are domestically sourced and that would ultimately play a huge factor in the overall cost of the product. While the initial cost of buying a complete vaping device and associated e-liquid(s) will certainly be higher than buying a pack of cigarettes, but take this initial cost as your initial investment. Upon making the initial purchase, the rest of the costs would be maintenance of the device; be it e-liquid, coils, batteries, etc. How much does a Vaping Device Cost? Each type of e-cig will have its own learning curve and effectively serve a different demographic of smoker. For example, cig-a-likes and vape pens would mainly service those that just made the switch and are looking for an easy-to-use device that is widely sold at your local convenience store. A perfect example for a cig-a-like would be the Blu while your typical vape pen would be the equivalent of the Joyetech eGo C-Twist starter kit of the 2010s. As for Pod Systems, the absolute number one product out there is the JUUL. While box mods can vary based on tastes and how much time one can dedicate to what would be argued as a hobby at the point of involvement. When it comes to cost of vaping devices, one can easily score a cig-a-like or vape pen starter kit for $5-50, while pod systems and box mods can vary from $30-100+ depending on the product and features you'd look for in a pleasurable vaping experience. 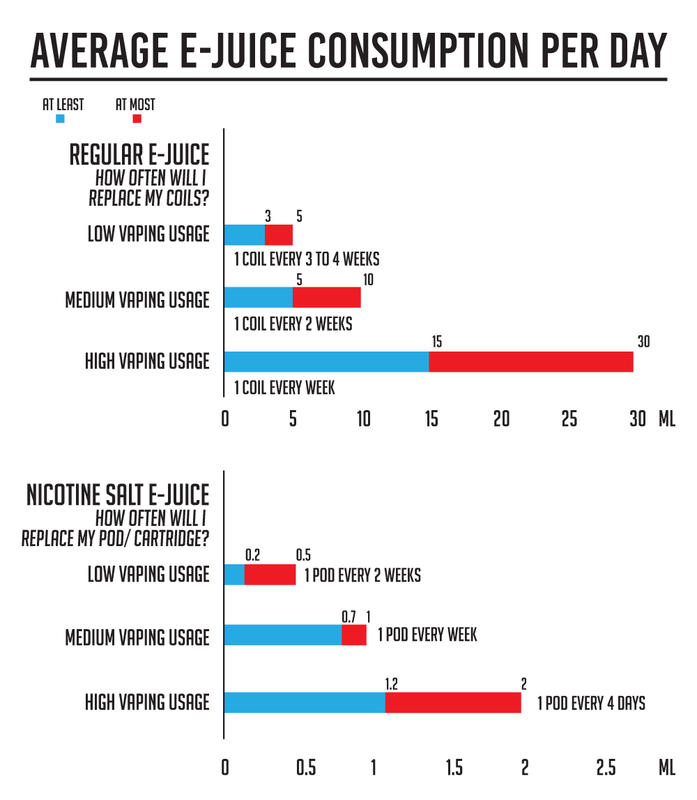 What is the average e-liquid consumption per day? Depending on e-liquid consumption and how hard one pushes their device to deliver the desired vaping experience, the typical coil can last anywhere from 1 - 4 weeks. On average, regular vapers will use 1 coil every 2-4 weeks. Heavy usage vapers will replace a coil or purchase materials to build their own coil at least once a week. So what's more cost-efficient: smoking or vaping? Let's do more math! While the overall cost of e-cigarettes has a steeper initial investment, ranging anywhere from $10-$100+ for the device itself, a battery charger, and atomizer, the only other habitual costs would be the cost of coils and e-liquid. 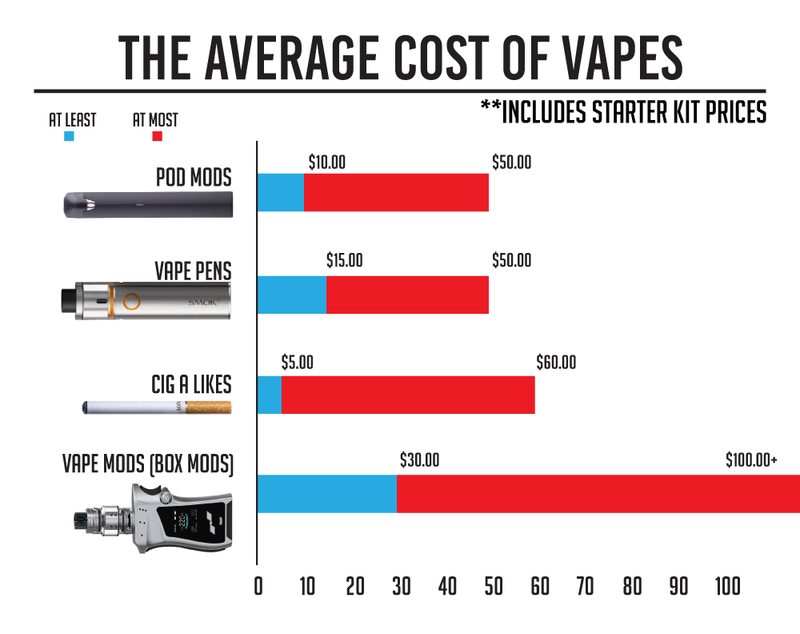 On average, you wold be spending roughly $10/week on coils and part of the cost of a bottle of e-liquid. Compare that cost to roughly $6/day for a pack of cigarettes. On top of that, as one would develop health issues due to habitual smoking, the overall cost of healthcare in keeping you in tip-top shape would eventually eat at your financial health. While we're not here to teach you a health lesson, we're just out to provide you with some free information so you can better educate yourself about the considerations involved with adopting e-cigarettes as your smoking tool of choice.